Last Saturday was supposed to be one of the best weekends in college football this year. There were numerous games in which ranked opponents faced one another, making us believe that we would be glued to our television sets all day long. At the end of the day though, after the final whistles had blown and all the fans had left the stadium, all anyone was saying was how lopsided the games were, and how shocked we were at some of the outcomes. 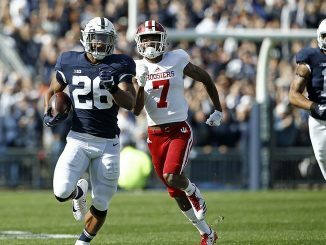 Three games pitting top ten teams against one another headlined the weekend in college football. In Oklahoma, the Sooners took on TCU in a matchup between the number five and six ranked teams in the country. This game was thought to be high scoring as most games in the BIG 12 are. Each team did score, but one pulled away from the other. This game was over by halftime, and the final score represented that, as Baker Mayfield and Oklahoma won this one 38-20. It was a dominating win and allowed Oklahoma to take over sole possession of first place in the conference. This win also put Oklahoma in the driver’s seat to make the College Football Playoff, but they can’t afford a loss in the coming weeks if that is going to happen. While Oklahoma fans were happy with this outcome, fans hoping to watch some good competitive football certainly weren’t. The second top ten matchup was between Notre Dame and Miami. This game was supposed to be the best of the weekend as it brought back memories of the great rivalry between the schools back in the 70s and 80s. Notre Dame was out to prove that it was a different team than last year’s that struggled week in and week out. Miami was out to prove that they had returned to the elite level that they were at back in the early 2000s. After it was all said and done, it was the Hurricanes that showed everyone they were back. Miami won this one by a score of 41-8, absolutely crushing Notre Dame and forcing four turnovers in the process, including a pick-six. Like the Oklahoma game, this one was over quickly, leaving viewers disappointed yet again. Even the number one team in the nation was not safe this weekend, as top ranked Georgia lost on the road to tenth ranked Auburn 40-17. The fact that all three of these games were so lopsided was shocking to everyone and showed us who is moving in the right direction as we head towards the playoffs. The only competitive game this weekend was between second ranked Alabama and 17th ranked Mississippi State. This one came down to the wire, with Alabama scoring in the final minute to send them home with the victory. 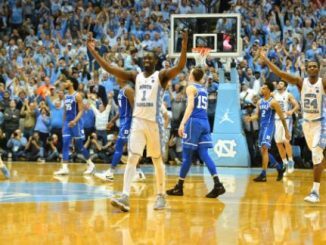 This was not one of the biggest games of the weekend, but it was certainly one of the best, and thankfully gave fans something good to watch on Saturday night. What does this forgetful weekend of college football mean? There are a few things we can conclude. We know that the playoff hopes for both Notre Dame and TCU are likely over. 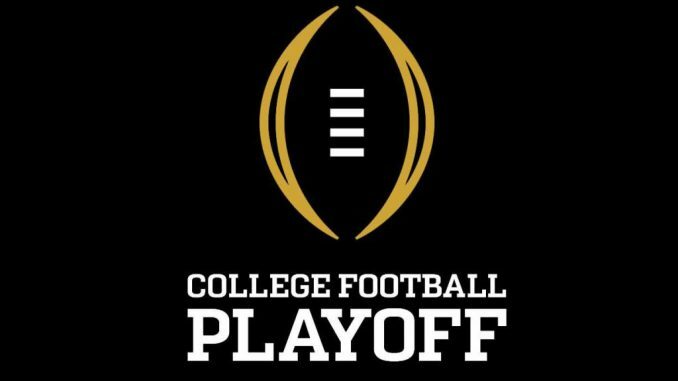 We know that Georgia could now also be out, unless they can win the SEC title game, but even then, we don’t know if they would be in. We know that Miami, Oklahoma, and Alabama all control their own destiny, and if they win out will be invited to the playoff. However, Alabama still has a date with Auburn in two weeks, the team that just beat up on number one ranked Georgia, and if they win that then they will have to face that same Georgia team in the SEC championship. Both games will test Alabama, but if they can win they will certainly be the favorites to win it all. We also know that Miami still likely has a date with Clemson in their conference championship game, and if they lose, could be left on the outside looking in with Clemson getting in. Oklahoma seems to have the easiest road ahead to advance to the playoff, but chaos is the trend late in the season in College football every year and it should be no different in the next few weeks.